To the 80th anniversary of People’s Artist of the Republic of Belarus, laureate of the State prize of the Republic of Belarus and Professor Mikhail Kozinets. “Musical marathon of Mikhail Kozinets” – is named the a range of anniversary concerts dedicated to the 80th anniversary of the famous Belarusian conductor, People’s Artist of the Republic of Belarus, a laureate of State prize of the Republic of Belarus and Professor Mikhail Kozinets. 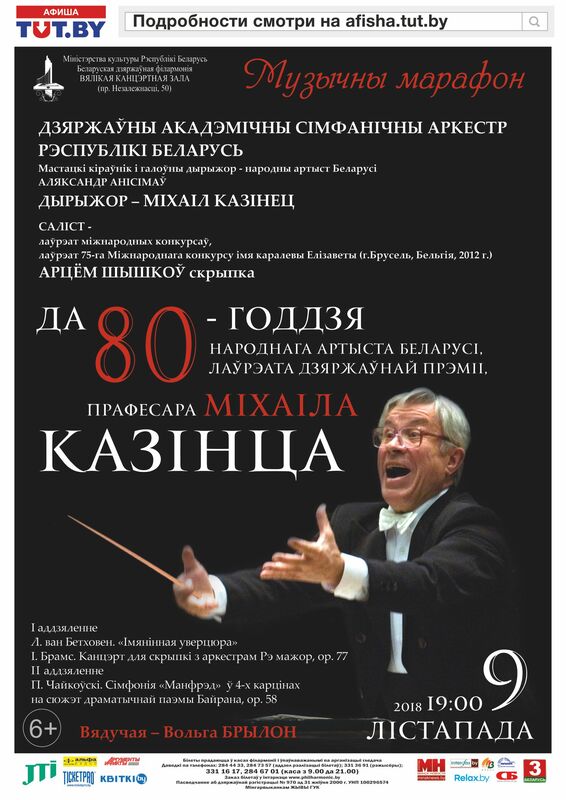 More than 40 years he is headed the National Academic Folk Orchestra of the Republic of Belarus n.a. I.Zhinovich. In spite of considerable age, the Maestro Kozinets is actively working on new creativity projects and still sets a tone in academic music art, , as many years ago. To rest on laurels – this isn’t about him! On 9 November, 2018 in the Big Hall of the Belarusian State Philharmonic Society will be held the first concert of Mikhail Kozinets anniversary musical marathon. The maestro will be on the conductor’s podium of the State Academic Symphony Orchestra of the Republic of Belarus (chief conductor – People’s Artist of the Republic of Belarus Alexander Anisimov) that evening. L. van Beethoven overture “Name day” and J.Brahms Concerto in D major for violin and orchestra will be performed in the first part. The violin virtuoso, laureate and winner of many prestigious international competitions Artem Shishkov will be perform solo.